Remember that bit in Home Alone Two that looked really fun and you wished you were in Kevin’s shoes? Not the bit where he was molested in an alleyway. The fun part, where he played on a keyboard on the ground in a shop with his feet and also he knew Michael Jackson but he didn’t touch him the end. What was I saying? 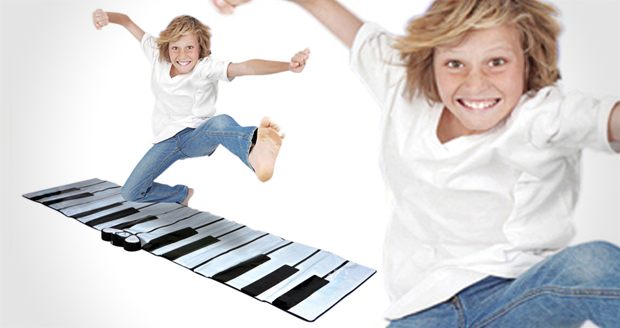 Oh yeah, you too can recreate that delightful scene with this Giant Floor Keyboard. Look at how happy the kid is in this picture. He’s gone absolutely mental, why do you think we zoomed in on his stupid face? 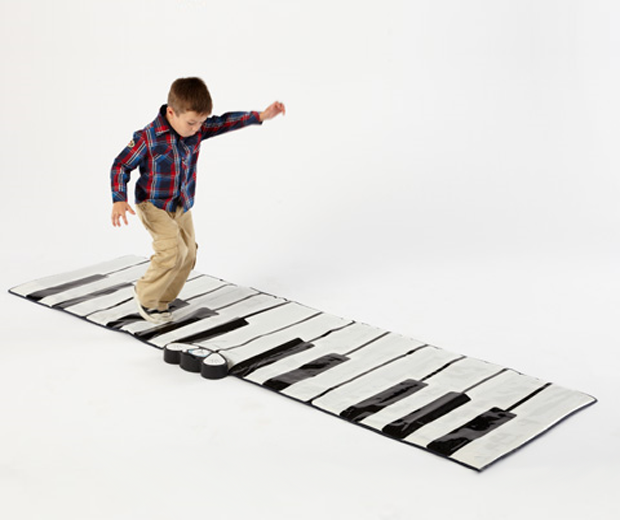 He will probably die cold and alone, but you don’t have to as everyone will come to your house to have a lovely big play on your floor keyboard. It has a built in amplifier, eight instruments, ten melodies and twenty four keys of hot Macauley Culkin action.